There is no doubt that installing a new roof is not an easy decision to make especially if it is going to cost you thousands of dollars. That is a major expense for any house. But if you perform the correct maintenance, you should not need another for at least 20 years. If you practice habits on how to maintain your roof, you can dramatically extend its life. Otherwise, you will be facing a plethora of issues later on. With that said, be sure to use these tips to protect your roof so you can keep it in good working order. This is definitely one of the best tips for protecting your roof. There is no need for you to be a pro here. The key is to start looking for damage, which is something you must do when seasons change or every after major storm. Look out for tell-tale signs of curling shingles, damaged parts, or animal activity, among many others. You should also keep an eye out for algae or fungus the same thing can be said for rust. Branches are not the only ones capable of clogging your gutter system. Even leaves and other elements can easily cause water to back up into your home’s attic. If this happens, water can enter behind fascia boards, living areas, and other parts of the property. The key is to ensure that your overall drainage system is free-flowing. In order to achieve this, you must make sure that your roof is cleaned at least twice every year. Moreover, you should be vigilant when it comes to damaged drain components and/or sagging gutters. If any of these happen, be sure you perform the necessary roof repair or replacement, whichever is necessary. This one here is pretty straightforward. All you need to do is look out for signs that suggest any shingle damage. Keep in mind that your roof is always exposed to everyday wear and tear. Regardless of the elements, its shingles can easily become dilapidated and at the same time, get torn off. When this happens, the roof’s very structure – even its interior space – will automatically become vulnerable to the likes of rot or water seepage. As such, it only makes sense for homeowners like you to start examining your roof coverings. Do this at least once a year, so you can ensure its integrity. Believe it or not, a number of homeowners tend to neglect the importance of ventilation. Some of them do it the other way around in the early days, but sooner or later, they forget. Always remember if you do not have proper ventilation, both heat and moisture can easily bring sheathing and rafting to rot. It also causes all of your roof’s materials to insulate and buckle, losing its overall effectiveness in the process. Obviously, you do not want your roofing system to become ineffective. 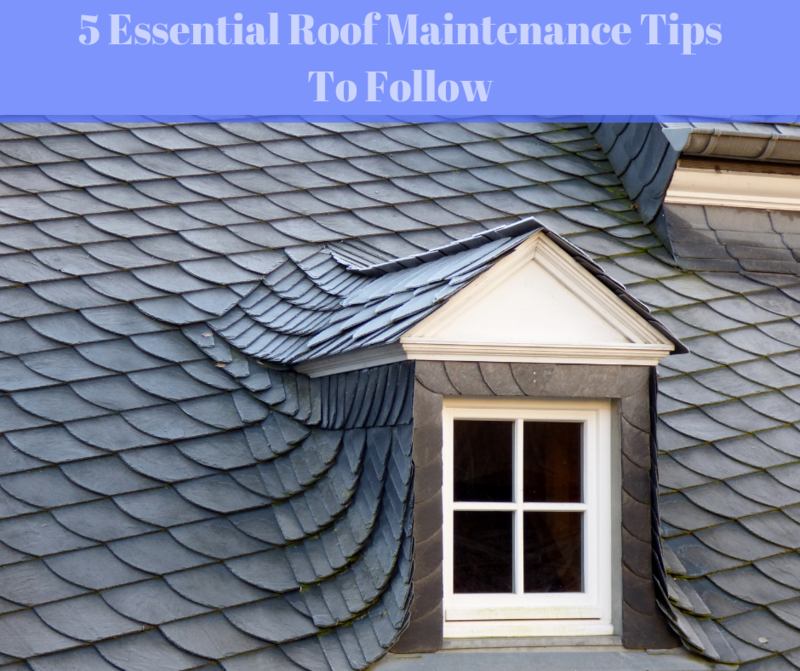 If you want to ensure roof maintenance, you need to start considering appropriate ventilation and good airflow. The best way for you to achieve both of these is through proper insulation. Do not forget that it is important for your house to be protected from heat gain or loss. The ideal way to do this is by including a gap-free layer of insulation, which should be installed on your attic floor. Make sure you put as well a vapor retarder and this could be mounted under the insulation, particularly right to the ceiling. Do this and you will be able to prevent moisture from rising into the attic.